Weldon Concrete has 3 modern plants and over 35 mixer trucks that service North Central New Jersey and can produce up to 2,000 yards of concrete per day. 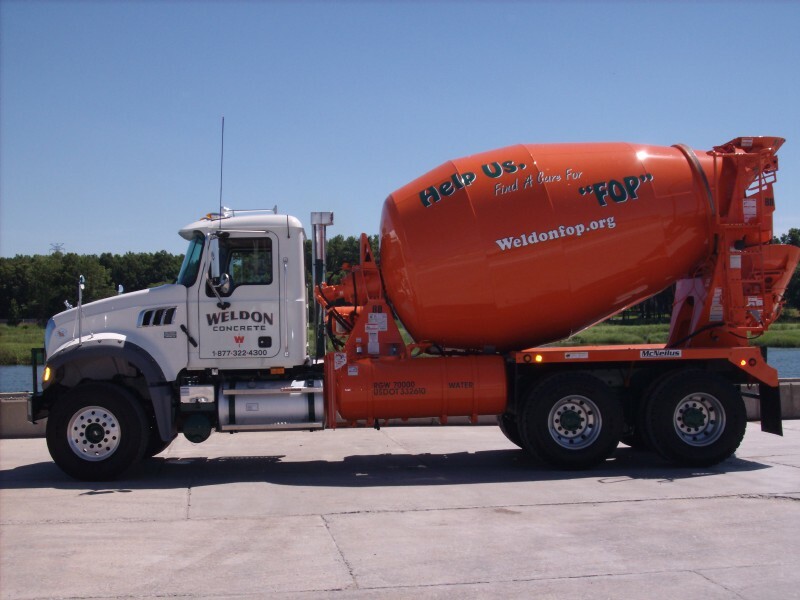 Weldon Concrete's technical, marketing and operations people supply contractors and masons with the highest quality mixes whether they be for a sidewalk, pool, structure, or a Port Authority project. All our ready mixed plants are state-of-the-art equipped to provide the quality assurance that the contractor depends on year round. With a computer equipped and centrally dispatched mixer fleet, Weldon is able to handle all types and sizes of pours on a timely basis. Additionally, sales and technical representatives service jobs daily and are readily available for customers' needs. A producer since the 1930s, Weldon Concrete's commitment to leadership has stretched our effective marketing area to all or parts of the following counties: Bergen, Essex, Hudson, Middlesex, Morris, Somerset, and Union.